In this unvarnished account of faith inside the world's most powerful office, Michael Wear provides unprecedented insight into the highs and lows of working as a Christian in government. 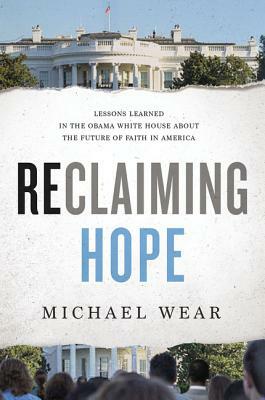 Reclaiming Hope is an insider's view of the most controversial episodes of the Obama administration, from the president's change of position on gay marriage and the transformation of religious freedom into a partisan idea, to the administration's failure to find common ground on abortion and the bitter controversy over who would give the benediction at the 2012 inauguration. The book is also a passionate call for faith in the public square, particularly for Christians to see politics as a means of loving one's neighbor and of pursuing justice for all. Engrossing, illuminating, and at time provocative, Reclaiming Hope changes the way we think about the relationship of politics and faith.